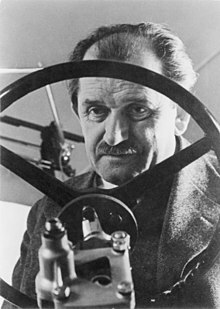 Ferdinand Porsche (3 September 1875 – 30 Januar 1951) wis an automotive ingineer an foonder o the Porsche caur company. ↑ "Ferdinand Porsche - Porsche Tradition - Classic World - Dr. Ing. h.c. F. Porsche AG". Porsche.com. Retrieved 29 May 2014. ↑ The name Porsche is pronoonced [ˈpɔʁʃə] in German an /ˈpɔːrʃə/ in Scots, wi an audible schwa.